Eva Mozes Kor was a victim of the Holocaust. 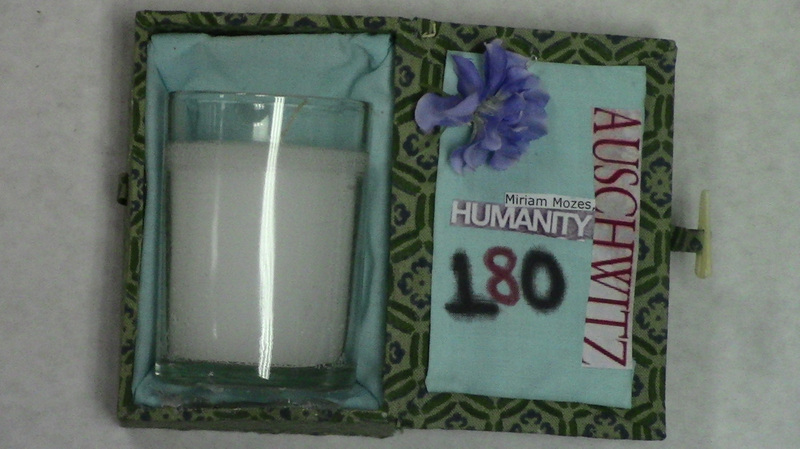 This shadow box is a representation of Eva Mozes Kor’s life. Her journey of the Holocaust started when she was ten and sent to Auschwitz with her twin sister Miriam Mozes. Dr. Joseph Mengele inhumanely experimented on them as twins. He claimed he was doing this to help German soldiers. He ended up killing many more than he was probably going to save. Only one hundred eighty of the Mengele twins survived. When Eva and Miriam were finally liberated from Auschwitz they made an organization named C.A.N.D.L.E.S. It stands for Children of Auschwitz Nazi Deadly Lab Experiments Survivors. Eva was the one who started this operation and Miriam was her vice president. The reason that there is a flower on my box is for Miriam Mozes. She died a few years after the organisation C.A.N.D.L.E.S. was started. She died from a rare form of cancer that was given to her by an experiment Dr. Mengele did on her. Eva has an amazing story and I hope it lives on. Eva and Miriam Mozes always thought that being twins was something special. They felt this way until Auschwitz. Then being a twin was a reason for pain. survived the deadly genetic experiments of Dr. Joseph Mengele. This happened in the death camp known as Auschwitz during 1944-1955. Mengele had a certain interest in the Mozes twins; he let them keep their clothes, and they got more food at meals. Dr. Mengele said this would continue as long as they cooperated and stayed alive. Mengele did a number of medical experiments of unspeakable horror at Auschwitz using twins. Twins as young as five and six years of age were usually murdered after the experiment was over, and their bodies were dissected. Eva thought that if there was ever a hell on earth, Auschwitz was it. Thirty minutes after getting off the train to the death camp Miriam and Eva were separated from their mother Jaffa Mozes, there father Alexander Mozes, and there sisters Edit Mozes,and Aliz Mozes. Eva and Miriam were in the infirmary for most of the Holocaust. They were not being treated for anything; they were being experimented on over and over again for years. Their part in the Holocaust was to have tests done to one twin and see how it affected the other. The long term effect of this was to see if these experiments could help soldiers in the war in any way. After both Eva and Miriam got out of Auschwitz, the experiments ended up leaving both of the girls with serious health problems. As an adult, Miriam’s kidneys never fully developed, and she died in 1993 from a very rare form of cancer. Eva suffered from miscarriages and tuberculosis. Her son also had cancer. Eva and Miriam survived the Holocaust along with two hundred other children, mostly Mengele twins. Eva and Miriam no longer had anyone in the world except each other. They were in three different refugee camps over the next nine months before returning to live with their aunt in Romania. Although free from Auschwitz, Eva struggled to feel free as Communists took over Romania. The two girls didn’t feel free from persecution until they moved to Israel in 1950. Over the next ten years Eva achieved a good education from an agricultural school and went on to attain the rank of Sergeant Major in the Israeli Army Engineering Corps. She met Michael Kor, a Holocaust survivor and American tourist. In 1960, the couple was married in Tel Aviv. In 1965, Eva became a US citizen, and the couple raised two children, Alex and Rina. Eva began to ask questions about what happened to the other Auschwitz twins. 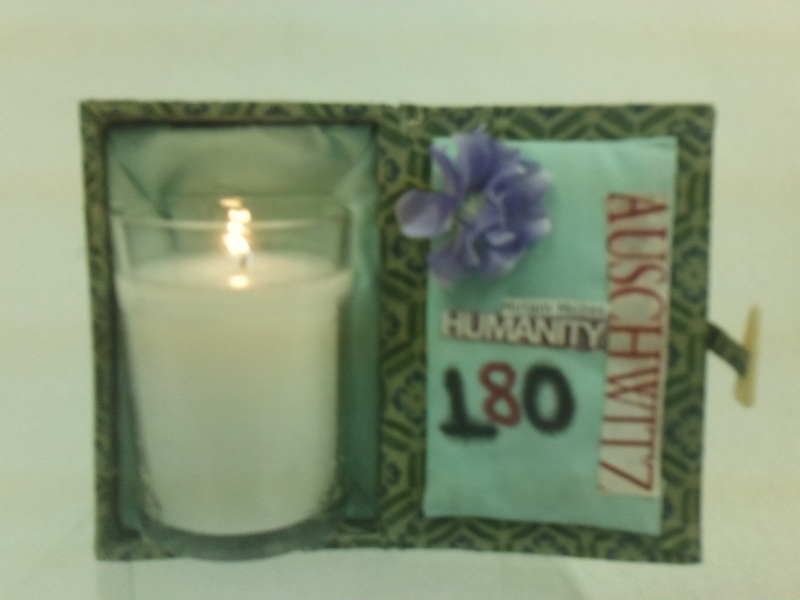 This inspired her to form an organization, CANDLES, which stands for Children of Auschwitz Nazi Deadly Lab Experiments Survivors. She named her sister vice president. Eva really liked that her organization was named CANDLES because she wanted to shed light on what happened during the Holocaust. Eva’s story of the Holocaust is inspiring. She was tested on for years in a lab, and when she was finally liberated her sister, the only family she had left, died from the experiments Dr. Joseph Mengele performed on her some years later after the Holocaust . Instead of hiding and never talking about her experience, she decided to become a public speaker about it and form an organization CANDLES. Eva Mozes Mor might be one of the strongest, most unselfish people I know of. I hope her story lives on and she understands how much of an impact her story made on my life.